In the fifty-six short stories and four novels Arthur Conan Doyle wrote about his great detective, there are many passing references to successful cases that are never actually written about. 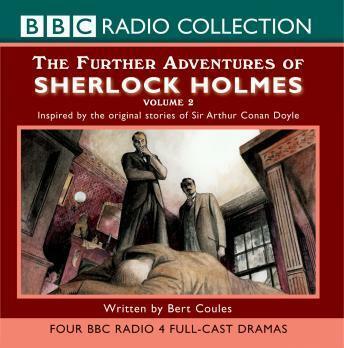 This second volume of four stories, written by the main dramatist on the complete BBC Radio 4 Sherlock Holmes canon, imaginatively flesh out the cases behind those references to wonderful effect. As in the complete dramatised canon, Clive Merrison plays the great sleuth. Doctor Watson is played by Andrew Sachs, while the star cast includes Lindsay Duncan, Mark Gatiss, Christian Rodska, Ioan Meredith and Joanna McCallum. The stories are: 'The Abergavenny Murder'; 'The Shameful Betrayal of Miss Emily Smith'; 'The Tragedy of Hanbury Street' and 'The Determined Client.' Of the first series the Daily Telegraph said - 'A joy from beginning to end ... ingenious extensions of the Conan Doyle originals'.